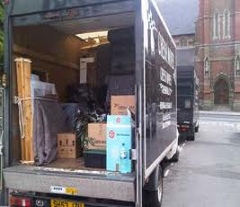 Do you require a small removals service? Are you finding it difficult finding a reliable company to move you? We were established in 1998 and have gone from strength to strength in a short period of time! How have we done this? Simple! We give the customer what they want! A small removals service with a small price tag. Why pay "BIG" money for a small removal? We don't think its fair when you pay big money to fill one of those huge removal lorries only to use a tenth of its capacity. We have small, medium and large vans for your needs, you only pay for what you need! Starting from just one man and van, we now operate a fleet of reliable vehicles that will get your prized possessions from A to B in record time! Feel free to look round our site. Your possessions are treated as if we owned them! Our small removals service is offered to both domestic and commercial clients, we are strategically placed right in the centre of England, we also have an office in London and many other counties! Our company is thriving even in the recession! Affordable removals are experts in small removals! All our removal services are done either personally by myself or by other dedicated members of our fully trained and accredited staff. Weather you're moving to London or locally we can save you money by only charging you for the space you use on the van and not the size of vehicle! We're different and unique! We offer much more than just "small removals". Part of our success is down to employing the right staff! This isn't easy, when we find a suitable candidate they are then trained further. The proprietor Mark Healy is a true perfectionist and this resonates in the staff! We are professionals and put our hearts and souls "AND BACKS" into each and every move we do! Our small removals staff are then further trained regardless of how much experience they have. Someone might have 20 years’ experience or it could be a case of someone having one years’ experience but its 20 years old! We want our staff to do things the right way! This is why we insist on having our staff trained through our Trade Association partners. We must be mad! We are giving away "FREE BOXES" plus a free house clean when you book with us now. You can book online with us right now 24 hours a day! We are also offering a 10% discount only for online bookings! Book your small removals service now and claim your free boxes! We know how busy you all are especially with the recession in full swing! That's why we introduced our 24 hour small removals service. You can book this online outside normal office hours. Please read our Fans regarding this service! You can now move at 8.00am or 8.00pm or any time in-between! Goods in transit insurance is designed to protect your property in or out of the van! This covers things like accidental damage if we drop something or one of our vehicles is involved in a collision. Many companies don't have any goods in transit insurance at all or worse yet have false documentation displayed on there site! You can view our genuine goods in transit insurance here! When you hire a van to do your small removal, no goods in transit will be in force. You will not have any protection for for furniture, "rip" was that an expensive sofa! You may only have to drive your hired van one way but you will pay a premium for this. Many D.I.Yers end up injuring there backs and end up calling a removal firm!